Figures published in Lendlease’s 2016 half year financial statement and 2015 portfolio report show that it made a handsome £113m profit from its One the Elephant joint venture development with the Council. Southwark received just a £12.2m share of this. The Council had previously received a £6.6m sum for its land interest and £3.5m towards the £20m cost of the new leisure centre, both included as scheme costs. The £3.5m was in lieu of the scheme providing any affordable housing, which Lendlease claimed would render it unviable. Lendlease’s financial statement reveals that it sold all the homes in One the Elephant for a total of £209m ($A345m). All 284 units were pre-sold, many presumably overseas. The three penthouses were sold for a total £8.3m. Construction and other costs totalled £108m 1. One the Elephant was approved back in 2012 with no affordable housing. A viability assessment was submitted justifying the lack of affordable housing. This gave a total scheme value of £134.9m based on estimated residential sales values of £638psf; in the event the apartments sold for an average of £1,033 psf2. The penthouses which were estimated to sell at £734psf actually sold for twice that at £1447psf3. Drafted by Savills, the viability assessment was appraised by the District Valuer’s Service (who also appraised the Heygate Viability Assessment). Both documents have been released, redacted, to the 35% Campaign following FOI requests. As well as undervaluing the revenues, the viability assessment contains all of the usual curiosities. Lendlease required a minimum profit of 25% on cost - between £20m-£26m depending the amount of affordable housing. This in turn produced a deficit of £12.5m for a scheme with no affordable housing and a deficit of £25.9m with 35% affordable housing. In the event, the £101m profit that Lendlease has made (£113m minus Southwark’s £12m share) is four times the profit estimate put in to the viability assessment. Land values also show their customary elasticity, Savills set it at £12.5m, using a market value. The DVS set the value at £9m. 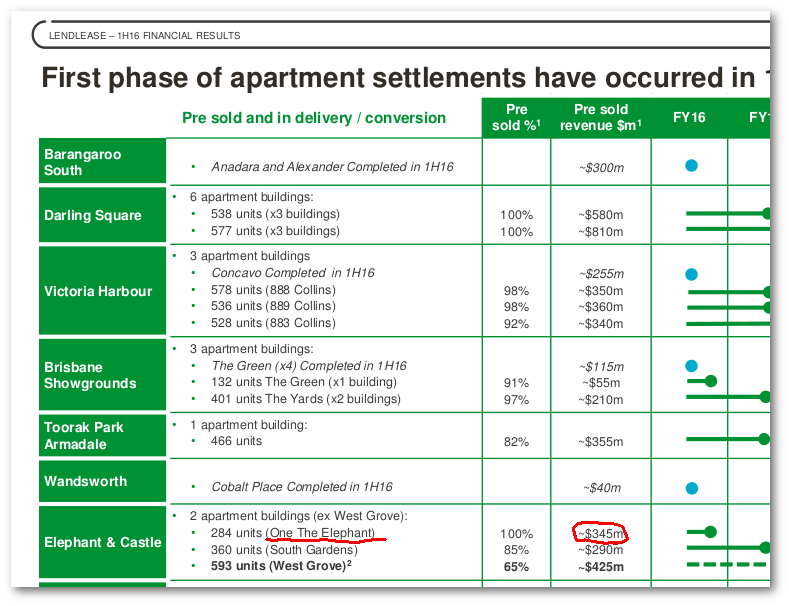 Southwark, by contrast, actually sold the land to Lendlease for £6.6m. The land value is a critical factor in a viability assessment, because it provides the benchmark, which determines whether a scheme is viable or not; crudely the lower the land value, the larger the amount of affordable housing that can be supplied. Both Savills and the the DVS had to acknowlege that the land actually had a ‘nominal’ ie zero value when applying RICS’S recommended ‘existing use value’ (EUV) method. This considers the current use of the land without planning permission, i.e. occupied by a leisure centre that wasn’t turning a profit. Given that zero land value is unhelpful when you don’t want to build affordable housing, it is no surprise that Savills chose to use the market value instead (which takes into account development value). 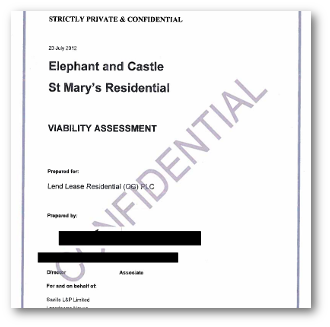 In fact it suited both Southwark and Lendlease not to have affordable housing in One the Elephant. Southwark had to remove the new leisure centre and the MUSCo, before Lendlease would sign the 2010 Regeneration Agreement. Southwark was now willing to sacrifice affordable housing in turn, to make good the loss. 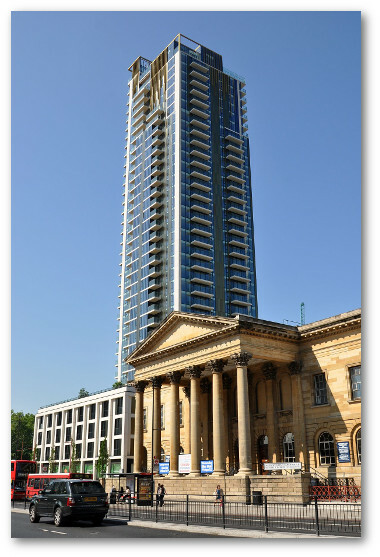 On Lendlease’s side, the viability assessment notes that having on-site affordable housing would ‘have a negative impact on the value of the private units’ and would require a 2.5% reduction in the price; paying £3.5m towards a leisure centre right on its doorstep saved Lendlease from this expedient and gained it over £5m4. There are two conclusions to be drawn from this sorry tale; Southwark is no match for developers in these joint ventures; the money it is getting might look good in a press release, but it’s the developer who is walking away with the lion’s share. 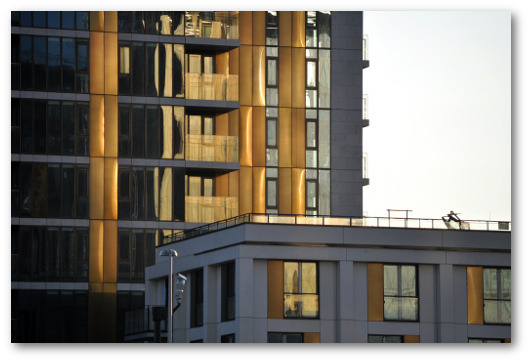 Second, viability assessments are useless, they don’t capture the full value created by these enormous gold-panelled towers and it is nonsense to claim that they don’t turn enough profit to give us any affordable housing.